Two major components of posttranscriptional regulation are RNA–protein interactions and RNA secondary structure. While noncoding RNAs are far more abundant than messenger RNAs in eukaryotic systems, their functions remain largely unstudied. Evidence suggests that RNA–protein interactions and RNA secondary structure also regulate the function of long noncoding RNAs (lncRNAs), which are noncoding RNAs over 200 nucleotides (nt) in length. Protein interaction profile sequencing (PIP-seq) allows researchers to perform an unbiased screen of protein-bound regions and secondary structure of RNAs throughout a transcriptome of interest. Using a peak calling approach, our pipeline is able to identify protein-protected sites (PPSs), which are putative RNA–protein interaction sites. 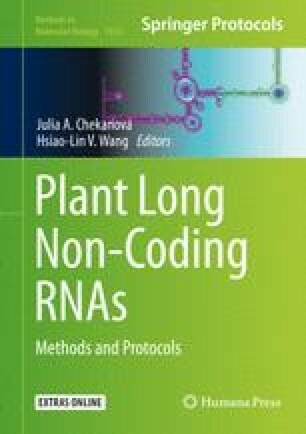 Additionally, by taking the ratio of read coverages in double-stranded RNA (dsRNA)-seq compared to single-stranded RNA (ssRNA)-seq libraries, our analysis can also calculate an RNA secondary structure score that reflects the likelihood of a region being comprised of double- or single-stranded ribonucleotides. Researchers can also use this pipeline to look at specific regions of interest, such as known lncRNAs, and determine their protein-bound status as well as elucidate their secondary structure. The authors would like to thank the members of the Gregory lab both past and present for helpful discussions. This work was funded by NSF grants MCB-1243947, MCB-1623887, and IOS-1444490 to B.D.G.